Are you developing a website for your construction company or related industry? 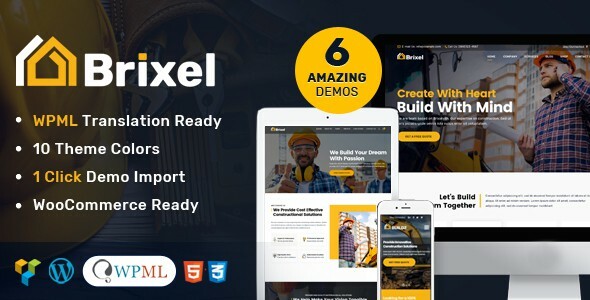 Take a look at our list of 10 premium WordPress themes for construction companies that can help you save time and still give you good ideas on how to make a site impressive and conversion oriented. We know that choosing the perfect design can make a lot of difference between your company and the competition! With that in mind, we chose the Premium themes for the area of construction, architecture, works among many others. 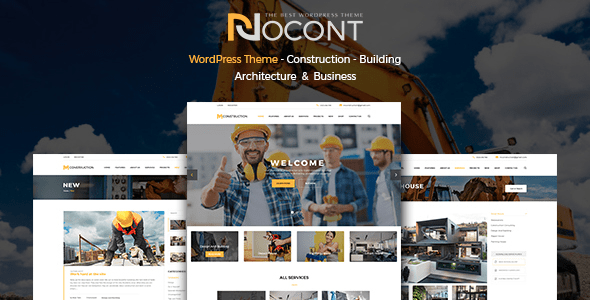 Nocont is a theme designed and developed specifically for construction companies and companies offering services in this line. And a very interesting differential of this theme is its compatibility with the WooCommerce system and also, to offer totally responsive layouts. With a page builder that helps you create pages (Visual Composer), Nocont lets you use drag and drop option to work easily and design your WordPress site in the way you like it most. In addition, it has 4 types of Homepages with different headers. A theme created for the building industry, Brixel is also suitable for engineering and architectural firms. It is a 100% responsive theme and because it is developed specifically for the construction area, its structure brings a professional and clean design to your site. Brixel also has support for use with WooCommerce and brings an advanced administrative panel, allowing the theme to be used with almost any type of business. According to its developers, the theme is highly recommended for anyone who is starting now with WordPress or who has no experience with programming because it provides a variety of options to make theme customization quick and easy. How about an industry-oriented theme? The Facto theme was created precisely for sites in the industrial and construction sectors, for factories and businesses focused on machinery, merchandise, energy, oil, and gas. Yes, there is a theme specifically for these types of business. Facto is a theme equipped with drag and drop technology to assemble the pages of the site. What makes content creation and organization a simpler and faster task. This is a responsive theme with sleek, modern design that includes homepage layouts, fully WPML-compliant (for translations) and one-click installation. The theme Constructera already has a very suggestive name, isn’t it? 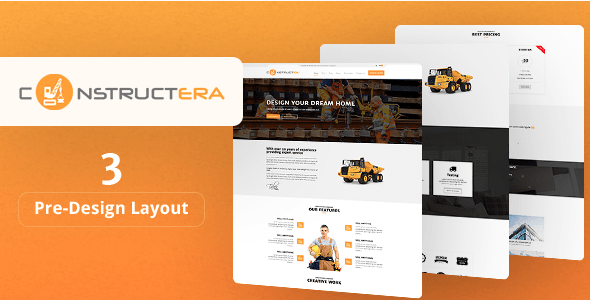 Well, a responsive theme and compatible with WooCommerce, the Constructera can be used for sites and stores that offer products and solutions for the construction sector working efficiently and cleanly. The Constructera brings with 3 different layouts for the header of the site, works with an excellent sections system – allowing you to create an organized manner of content – and is highly customizable. It also cares about solutions for digital marketing, already offering an area for incredible CTA! It is one of the best and richest themes for construction companies. It is worth checking! Using one of the best technologies for development – Bootstrap, the Constrix theme uses a clean, professional layout, very easy to navigate and manage. The theme has a powerful administrative panel and allows the site to be mounted in a few seconds according to the demo files. Constrix brings in one of the best sliders premiums, the Revolution Slider, makes use of animations that use CSS3, is also compatible with the WPML (for translations) and Contact Form 7 plugin and also offers a page builder system to build the site without complications or rules of programming. 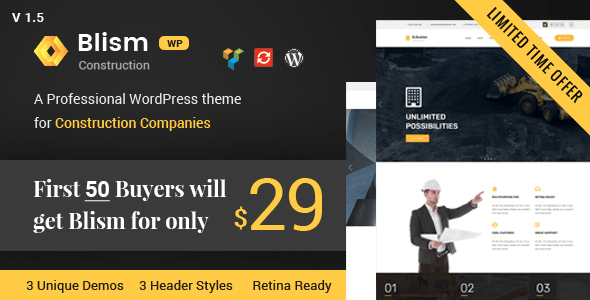 ReConstruction is a WordPress theme that aims to enable anyone, on their own, to easily create a professional website for the niche of construction companies. So it is a responsive theme that fits any device or browser, having been created targeting the business related to construction as well as: engineering, maintenance, services, repairs, and inspections. 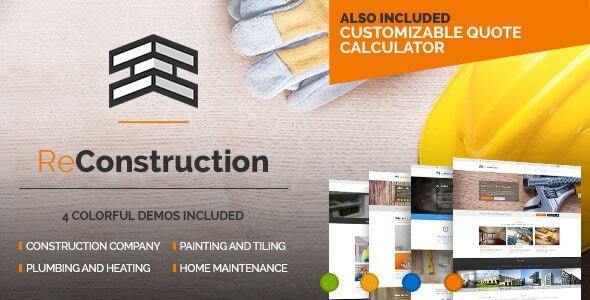 With a highly professional design – based upon a long study with construction professionals – ReConstruction makes it possible in a few minutes to choose the layout of your site and the colors you want to use. In addition to these advantages, the theme also features unlimited sidebars and custom widgets, comes with over 600 Google Fonts, includes the theme’s PSD files and is compatible with WooCommerce. For those looking for a layout with the themes of construction, factory, industry, transportation, and technology, Fabriqué can be a great choice. It’s clean and really focused on business without too many distractions. Working with the concept of mobile-first design, it is a 100% responsive and easily customizable theme. Fabriqué offers 8 styles of navigation, with 24 possibilities of variation. The theme is very concerned with the performance of the site, so it promises a quality never before seen, delivering the high speed of loading and navigability between the pages of the site. Fabriqué brings ready-made layouts to different page types and you can choose and configure everything without manipulating code. To be in constant contact and maintain the relationship with customers, working with email marketing is one of the premises for any current website. 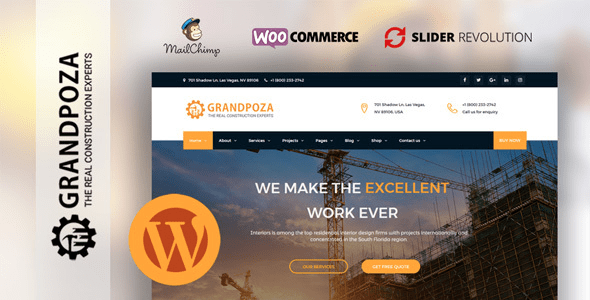 That’s why the Grandpoza theme natively integrates with MailChimp – one of the most used contacts and email management services today. And also natively, the theme works with WooCommerce, so that stores and services can be offered to the niche of construction and engineering companies. Grandpoza is a theme that works strategically, so in addition to offering integration to MailChimp is optimized to work with affiliate sites and worries about SEO. The theme was developed under Bootstrap technology, has clean and commented code, as well as extensive documentation, flexible and responsive layout. 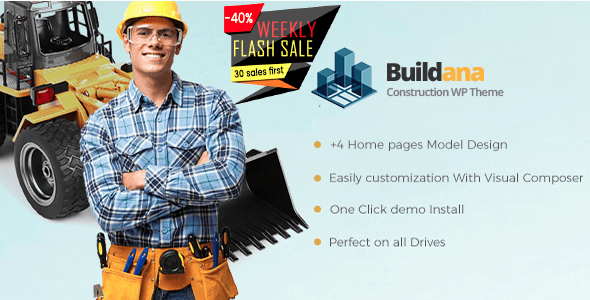 For those who want the assembly and rapid launch of the website for construction company, the Buildana can serve in a magical way. That’s because it already has 4 models ready to choose from the Homepage and 30 more for internal pages! What is perfect so that in a few minutes your site is well assembled, clean design and ready to be launched. 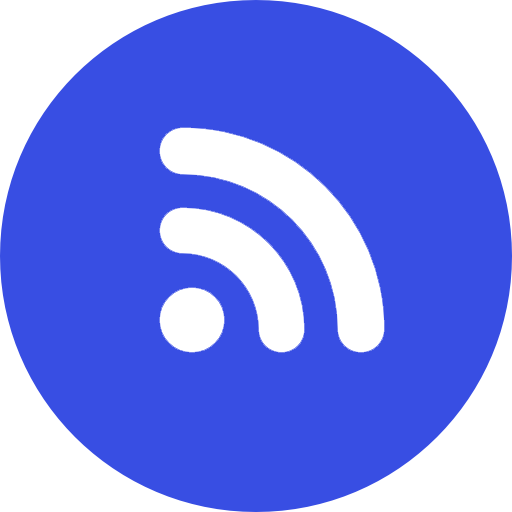 Buildana lets you customize colors, headers, and choose from the multiple layouts offered for Blog and Blog posts. And another really cool highlight that the theme brings is an area in the footer for displaying photos and videos from Instagram! There are many features that Buildana brings: social buttons for sharing, compatibility with WooCommerce, newsletter subscription box, Visual Composer builder and Slider Revolution included and much more. 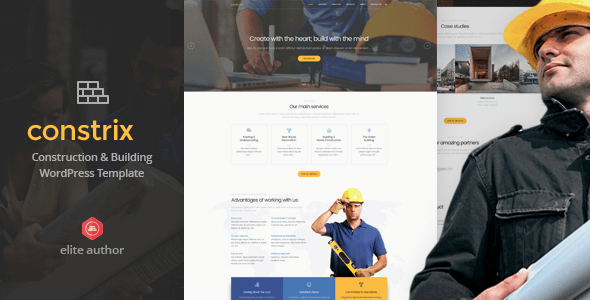 The Blism is a WordPress theme for construction companies, mining engineering, and extremely objective. So, for those who want a beautiful website with a professional and clean design, but without too many features, this may be the ideal theme. The theme comes with one of the best page builders, Visual Composer, so the site can be created with a few simple drag-and-drop movements – ensuring that you can easily design the pages the way you like them the most. Blism also works with Revolution Slider and WooCommerce, offering a satisfying experience for users with zero programming knowledge to professional developers. When we think of websites for construction and engineering companies, the idea of a well-structured and clean layout soon comes to mind. It was following this idea that we created the list of 10 premium WordPress themes for construction companies. So if you’re in need of a clean, professional, quality solution, checking out and navigating the topics we’ve listed here is a great start to conquering a professional, well-crafted website. 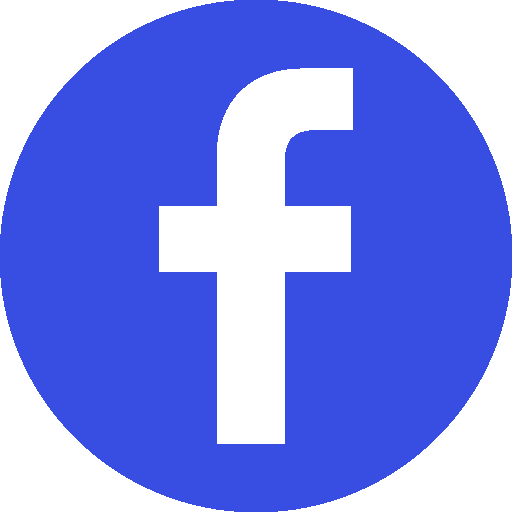 If you liked this article, consider sharing on social networks. Follow us on social networks to follow more articles like this. If somehow this article was useful to you, leave your comment below so we can know your opinion. If you are looking for Fully Managed WordPress Hosting for your website that is isolated from other users on the server, We provides you with everything for which you have been waiting for. Our hosting is built on a blazing-fast SSD latest hardware That’s Highly tuned for optimum performance. The hosting includes the latest WP version, plugins, themes, automated daily backups, anytime money back, 99.97% uptime and 24×7 support.